The Reverend Margaret Thor, deacon, came to St. John’s in the fall of 2014. She grew up an Air Force “brat” and attended the University of California Davis, graduating with a degree in psychology. She now works in Brooklyn Center and currently manages a group of employees who audit small businesses. She and her husband, Eric, live in Arden Hills. They have two children in college, Caryn and Peter, and an old basset hound named Stuart who has attended many pet blessings. She participated on the Episcopal Church in Minnesota’s Mission Opportunity team for 2014, which focused on resources for faith communities willing to reach out to school age youth in their neighborhoods. She has been a Lay Eucharist Visitor and Minister, lector, and verger. 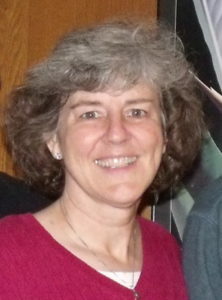 She has also been a senior warden, treasurer, and Christian Ed instructor. She currently volunteers one Friday morning a month at the Episcopal Homes.